← A born Bolivian struggling under Trump’s stupidity! High fiscal deficit discourages new investments in Bolivia! To summarize: the world has been aware of the real evo, after 12 years of his wrongdoings … to much demagogue, a genuine ochlocracy that has erased all institutionality which is basic for investors! The above opinion is from Bolivian Thoughts. 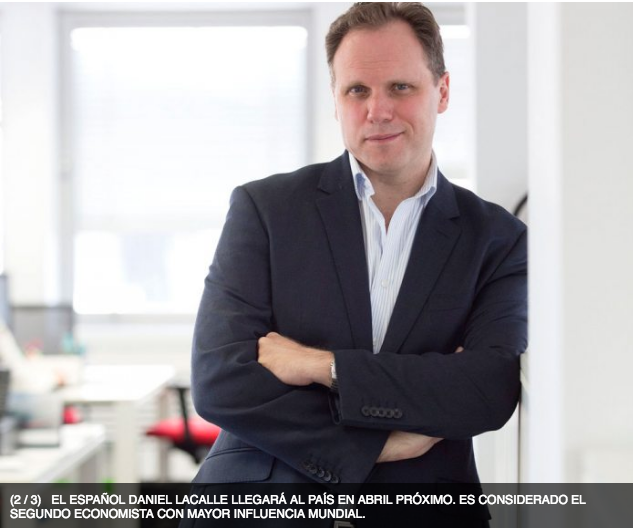 Spanish economist Daniel Lacalle warned yesterday that private foreign investments face a strong disincentive in Bolivia, due to the growing fiscal deficit in public accounts, which would be financed with new indebtedness and the Central Bank’s international reserves. “There is a temptation in the Bolivian authorities to adopt an expansive growth of the public sector, when the economy is highly dependent on exports of energy raw materials,” the economist said from Spain, through a teleconference offered yesterday to a group of journalists from the country. seat of government. He added that in the height of the commodities prices boom, the Bolivian economy lost the opportunity to reorient its growth pattern towards private business activities. He also maintained that in this scenario the country can not reverse the so-called “twin deficits”. The journalists pointed out that the country registered last year the fifth consecutive year and growing fiscal deficit, which this year is expected to be 8.3 percent as a proportion of gross domestic product (GDP), according to the General State Budget . “I would not worry so much about the trade deficit, but the fiscal one, because certainly the investors before making decisions ask about the fiscal balances, that is, the way the Government finances its projects and state policies,” said Lacalle. 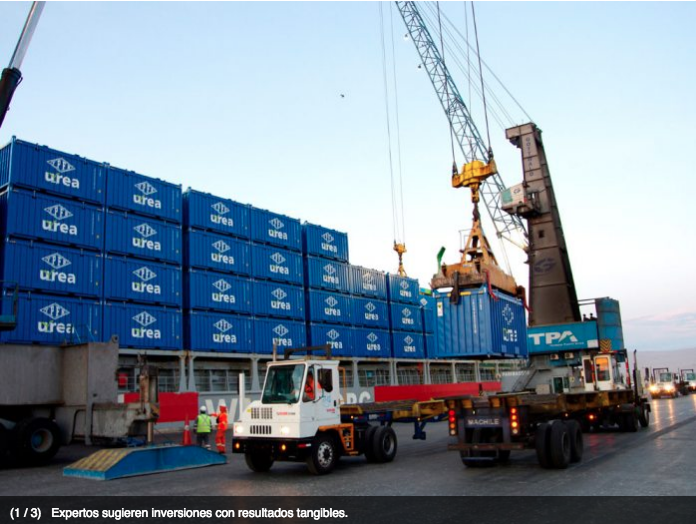 The trade deficit reached more than US $1,300 million at the end of the last administration, according to data from the private Bolivian Foreign Trade Institute (Ibce), while the fiscal gap stood at around 7 percent in GDP. Lacalle holds a doctorate in economics and is considered to be the second most influential in the world, in academia and professional practice. This measurement responds to the Richtopia index, said yesterday the company Siglo XXI, which organizes a forum on April 24 on the new financial and business scenarios globally, with the participation of the interviewee and other professionals expert in marketing and service to the client. With this motive, Lacalle will arrive in Bolivia to give conferences related to the financial markets, from an optic of the operation of the investment funds. Despite the adverse international scenario experienced by the Bolivian economy, Lacalle said that it has had a favorable performance in recent years, although he said that during the year the Federal Reserve of the United States will adopt new adjustments in interest rates on bonds. which could aggravate the fiscal and trade deficit in Bolivia. The expert made recommendations to the Government to reverse the fiscal deficit and said that it was necessary to reduce current spending, but avoid increasing tax rates. Recently, the Bolivian economist, Germán Molina pointed out, coincidentally with Lacalle, that the fiscal policy during the analysis period 2006-2017, was characterized by a continuous increase in public spending, using extraordinary resources as a result of the external bonanza and the application of Law No. 3085, approved in 2005, which allowed a greater collection of the hydrocarbons sector. At the same time, register fiscal surplus and then generate the fiscal deficit, which is covered with internal and external financing. Molina also stressed that the country decided to keep expenditures to lower income and the difference finance with public deficit and public debt, betting on generating new revenue with public investment and international markets are favorable. The bet is on public investment, with the purpose of obtaining additional income when entering into operation with the sale of urea, electricity, lithium, tourism and others, but at the same time continue with the expansion of public spending. The Economic Commission for Latin America and the Caribbean (ECLAC) ratified last Tuesday that, according to projections, the Bolivian economy will grow 4% in 2018, despite the rebound of the Brazilian economy gave a positive boost to other countries in the region. This entry was posted in Bolivia, Business, Economics, Politics, Social Unrest and tagged corruption in public office, demagogue, democracy in peril, government failures, state-owned failures. Bookmark the permalink.